The weather was kind to us this afternoon as some of our Year 4&5 girls took to the football pitch today in their first match against Leigham Primary. 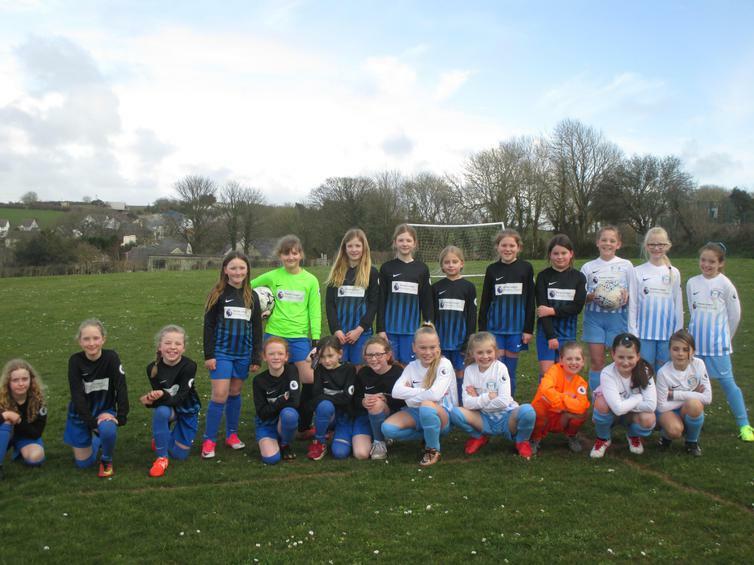 For most of our girls it was their first experience in a football match and an opportunity to put some of our attacking, defensive and ball skills into play. The score line at the end did not reflect the enjoyment of the day as in true Wembury style our children embrace every opportunity to be involved win or lose. The smiles on our girl's faces as they left the pitch would leave you to assume we had won a cup final! Thank you t0 Leigham Primary for the match and Argyle Community trust for your refereeing support. For the full write up and all the action please click here.